Looking for Antiques in Essex, Megarry’s was founded in 1994, housed in historic Jericho cottage, on the edge of the Duckpond green in Blackmore Village in Essex. 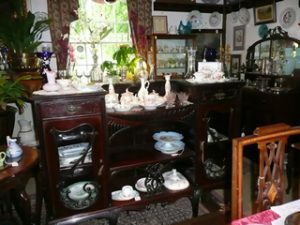 If you are buying, selling it or just want advice on what to look for in antiques. Look no further, Megarry’s has years of experience to guide you. There has never been a better opportunity to enhance your lifestyle with a slice of history. 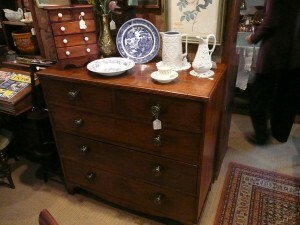 Our extensive stock is more than traditional antiques and art work. If there is something you are specifically looking for, get in contact with Judith and she can put in in her want a book and can ask contacts about that particular antique you have requested. Any question or queries you may have about antiques give Judith a call on 01277 821031, she will be more than happy to help and advise you in.